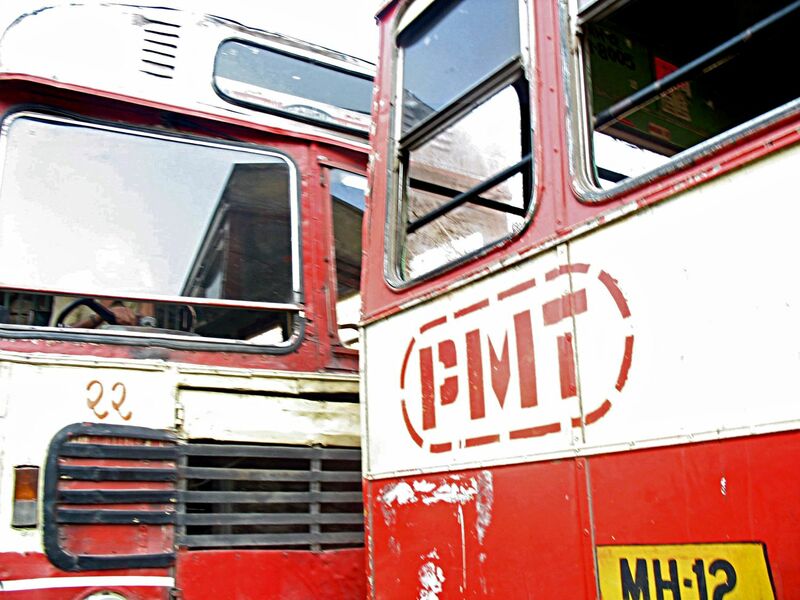 These are photographs of the old PMT buses (Pune Municipal Transport now known as the Pune Mahanagar Parivahan Mahamandal Ltd or PMPML). 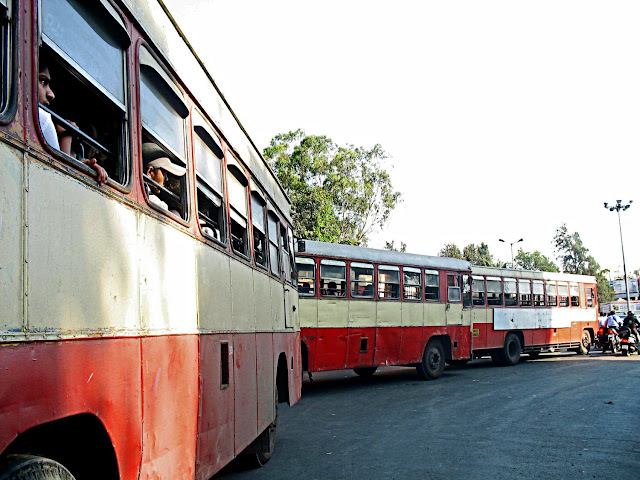 This is the public transport service provider for the city of Pune and Pune Metropolitan region. The service is inefficient and inadequate. These are the old models of the buses although you still see them many have been replaced by newer ones. However frequency of the buses is wanting. These photos have been shot near at the Swargate crossing in Pune, which is a major bus hub. Commuters can be seen in the windows of the bus. This is a new bus of the Pune Municipal Corporation, one with the new name as well. 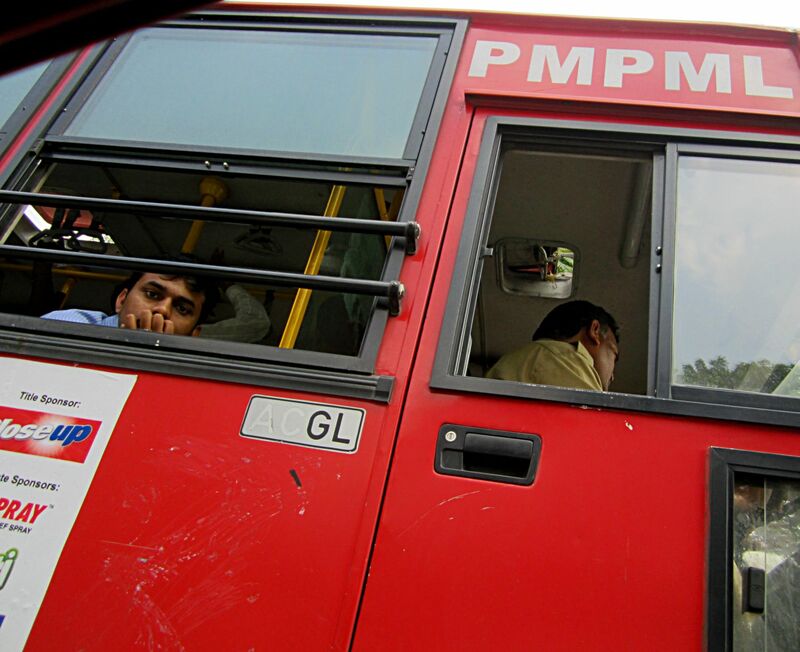 The driver of the government bus can be seen as well as a commuter at the window. or Accidents scenes - overturned and smashed vehicles photos or check all the pictures filed under the label Transport.